When a sleep apnea diagnosis is given, chances are the patient will be advised to begin using a CPAP machine every night while sleeping. CPAP, or continuous positive airway pressure, is a commonly prescribed treatment for the episodes of interrupted breathing present in sleep apnea. The CPAP machine is a medical device that runs on electricity. It is placed next to the bed on a nightstand or table. 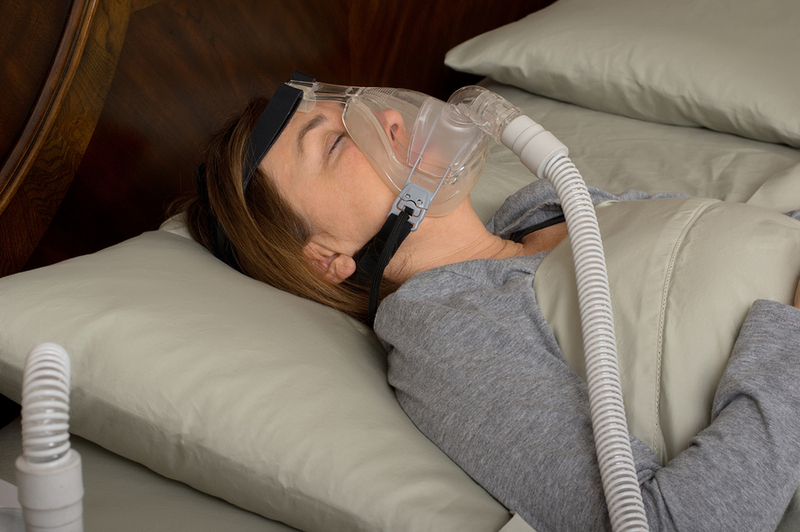 There are three parts to a CPAP machine: a pump housed in a box about the size of a clock-radio; a long section of plastic hose or tubing; and a face mask designed to strap onto the patient’s head, covering his nose and mouth.